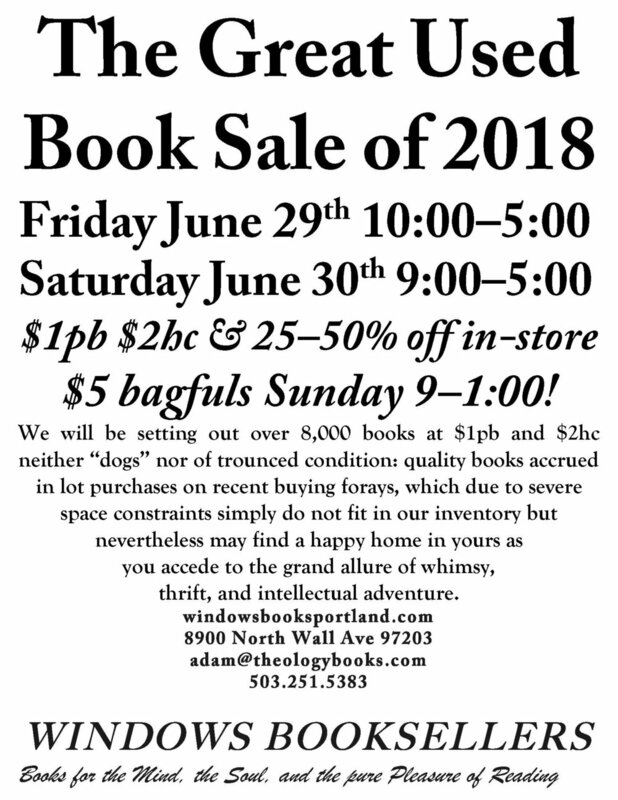 Our Summer Book Sale at Windows Booksellers is 1 week away! We will have about 8,000 $1pb & $2hc this year (heavy in history, literature, religion, labor & politics), many excellent books that we simply do not have space for in our limited confines. In addition, all in-store inventory will be 25–50% off! Who knows, the Weber Grill might also make an appearance! Please share this event with anyone who might be interested! Reply to this email if you would like a printable PDF to tack up at your local coffee shop or fellowship hall! 20% OFF ALL BOOKS FOR CHRISTMAS!! !